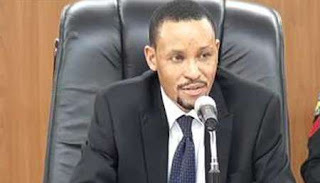 The Attorney General of the Federation (AGF) and Minister of Justice, Mr. Abubakar Malami, has revealed that the federal government lacks sufficient evidence to prosecute the Chairman of the Code of Conduct Tribunal (CCT), Mr. Danladi Umar. The AGF said this was because the Economic and Financial Crimes Commission (EFCC) had investigated the petition against Umar, and concluded in its report that the allegations against him were mere suspicions. The Anti-Corruption Network (ACN), in its petition submitted to the House of Representatives, had accused Umar of embezzlement and misappropriation of funds to the tune of N44.5 million. The group had accused the Office of the AGF of persecuting the co-accused in the initial petition, one Mr. Ali Gambo Abdullahi, and neglecting to persecute Umar. Malami, appearing before the House of Representatives Committee on Public Petitions yesterday, confirmed that the ministry did receive the petition. “Drawing from the conclusions, it became difficult for any prosecution to be initiated based on the basis of facts as they were presented. The position of the office of the AGF is that in the absence of further material fact in the allegation, we find it very difficult to prosecute Umar in the circumstances against the background of his presentation and the further conclusion arrived at by the EFCC,” he added. The Executive Secretary of the ACN, Mr. Ajulo Ajulo, in his presentation, insisted that Umar was guilty of the allegations leveled against him. “Chairman, they should provide the original copy of their capital vote book advance payment book; and other vouchers from 2011 to date,” he said. The CCT Chairman, again denied all the allegations against him which include appropriation of N1 million for his wedding from the coffers of the CCT, N4.2 million for external light bulbs, fictitious contract for supply of office furniture and fittings for N11,430,000, and purchase of Toyata Prado SUV for N15,273,000. Speaking before he adjourned the hearing, the Chairman of the Committee, Hon. Nkem Abonta, directed the AGF to provide documentation backing his claims that the EFCC did a thorough job in its investigations.